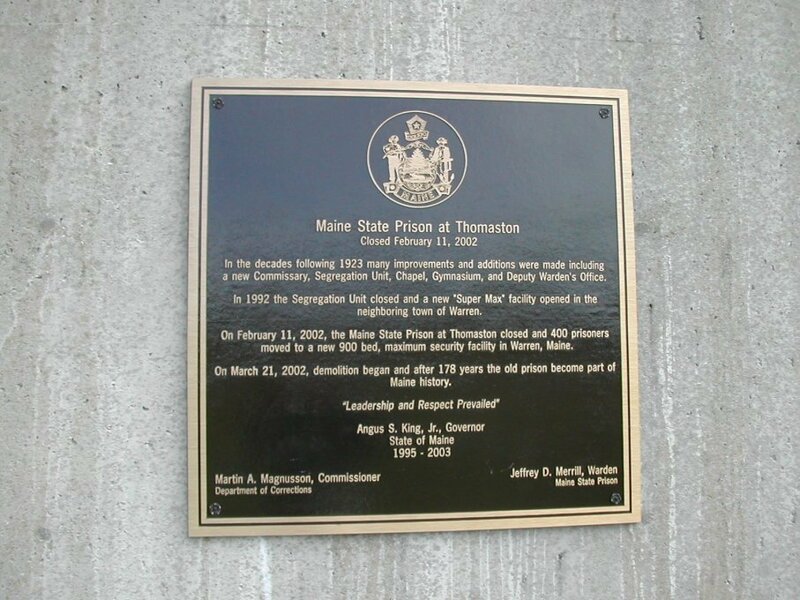 Thomaston was the location of the Maine State Prison from 1824 until the winter of 2002. The prison actually had many transformations during its 178 year history here. 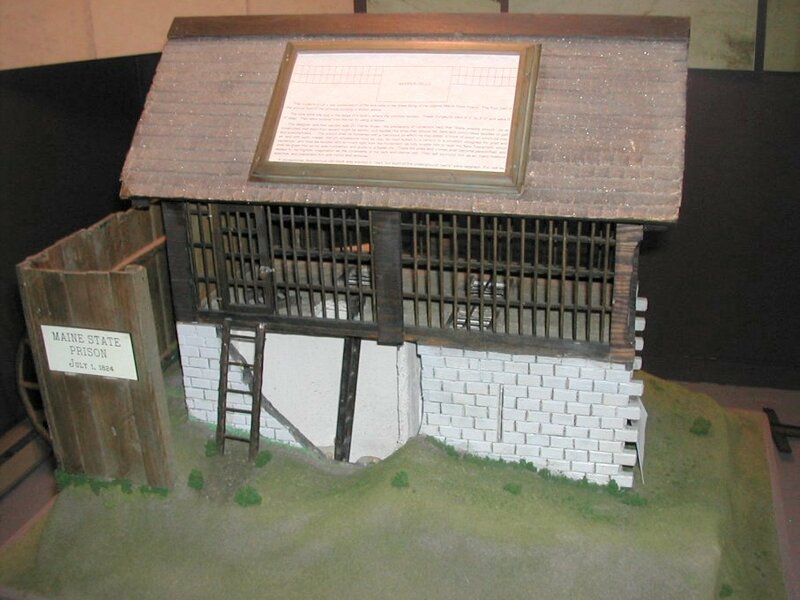 The first version of the prison actually had underground cells – deep holds into which prisoners were lowered each night and brought up in the daytime to labor in the stone quarry on the prison property. Iron bars were placed over the cell holes in the ground and those were partially covered with a tarp during inclement weather. A prisoner could not stand on a chair or his cot and reach the bars because the cells were extremely deep in the ground. These, of course, were barbaric conditions in which to keep even the most hardened criminal. Those earliest accommodations were short lived and quickly replaced by several long low wooden structures, which were certainly an improvement. 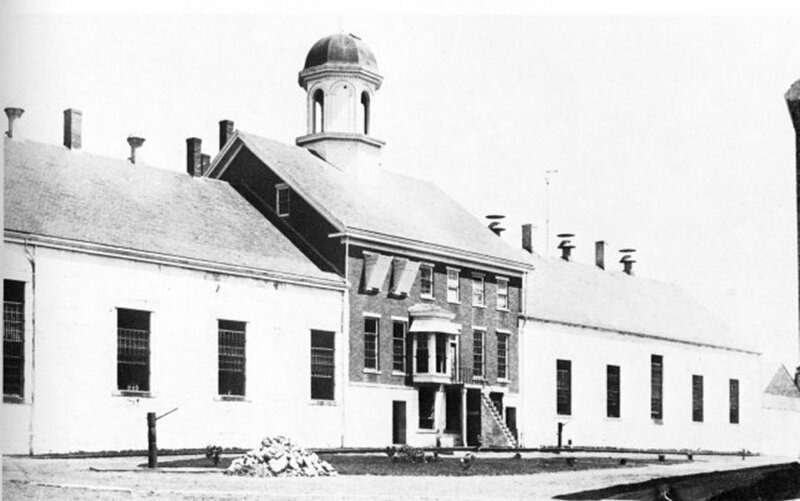 Later, the wooden barracks were replaced by a more modern facility constructed with red brick and standing several stories in height. However, even this new improved model did not survive a disastrous fire in 1923. The Prison Warden, who was in Boston when the fire broke out, hurried by car back to Thomaston. He later gave high praise to the many prisoners who helped the fire department extinguish the fire. The facility was so badly damaged that it had to be completely rebuilt. At one point in its history, a small section of the prison was devoted to the few female prisoners in state custody. 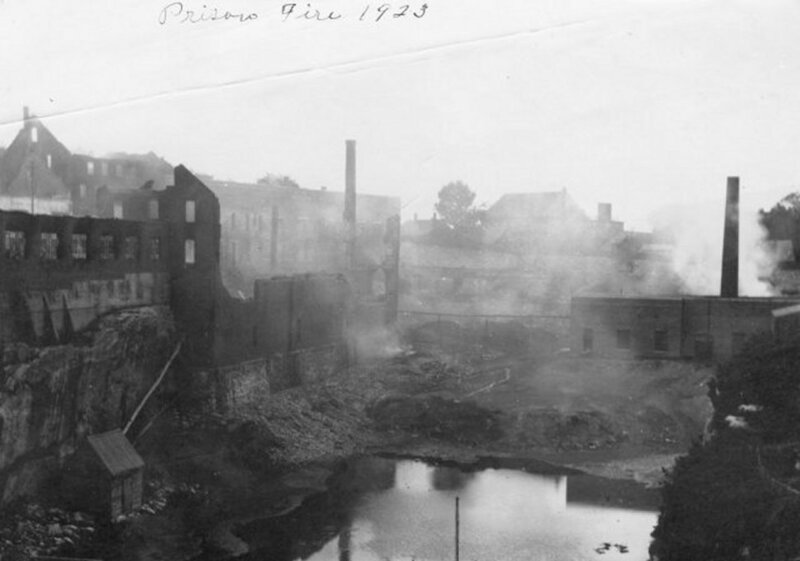 To keep the women from seeing the men laboring in the quarry, and to assure that the male inmates could not see a woman walk past a window, the windows of the women's section had reverse awnings or "hoods" installed. These allowed light to enter the women's area but you could not see the windows from the ground level nor could you look down to ground level if you were inside the prison. Most recently, a new and modern facility was built in the neighboring Town of Warren. The prisoners were moved there in guarded buses over the period of several nights in February of 2002. The move was made secretly in complete darkness so as to disallow any interference with the transfer. The announcement that the prisoners were already moved was made only after the event. Much to the surprise of the area population, the prisoners who were interviewed following the move complained that their new accommodations were not as much to their liking as the cells they had in Thomaston. 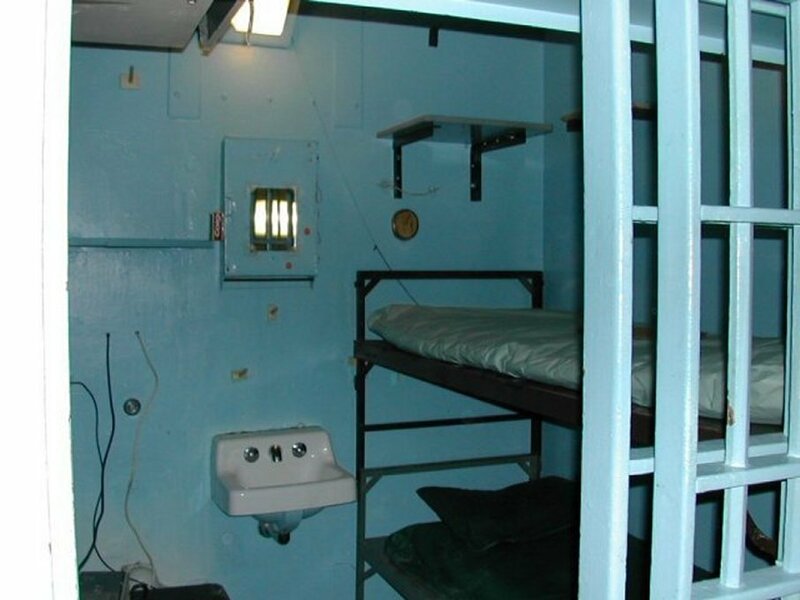 Even though the new cells have doors instead of bars and each cell has a tall but narrow window allowing the inmates to at least see a little piece of the outside world, the inmates complained that they are now required to sleep with a light bulb burning in their cells in order for the modern surveillance equipment to work. They also had thought of the prison in Thomaston as being "sweet time" served. 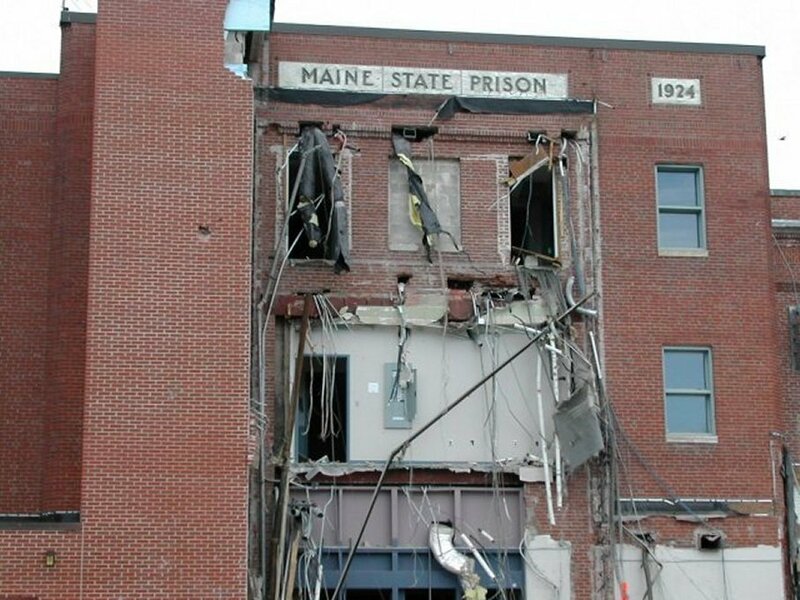 To anyone of the more than 11,000 people who took a tour of the prison before demolition began, it was hard to think of such a place as being "sweet" in any sense of the term. The cells had hardly enough room to turn around. The desk or table was frequently so close there was no room for a chair. Men could sit on their cots and write on the desktop with no problem. When in bed, the prisoner's head was only inches away from the toilet and sink. Heat was not distributed evenly in the old facility and while some parts got into the one-hundred-ten degree temperature range in the summer time, other parts experienced water freezing in both the toilet and sink in the winter months. After speaking with a few guards, one came to understand that there was a certain sense of the familiar in the old prison and perhaps it was a little more personal when few things were done electronically, such as closing the cell doors once the prisoners returned from their day's work. To a prisoner, it could feel less lonely to have an actual guard checking up on him at night instead of being viewed over a closed circuit television system. Prisoners had to adjust to the less personal attention they were receiving in Warren compared to the more familiar touches in Thomaston. Any change to a man who has such restrictions on his movements is difficult to trade. New is not always exciting or good, it is frequently feared and disliked. By early summer of 2002, the entire prison had been demolished and the stones, concrete and iron bars were literally pushed into the huge hole, several stories deep, left by the quarry after it was played out more than a century ago. The debris, which only partially filled the hole, was then covered with tons of dirt and topped off with a deep layer of loam. Over many years, the prisoners became well known for their woodworking skills. Many became quite proficient at fashioning things by hand. In the nineteenth century, the inmates produced beautiful horse drawn carriages and sleighs and other items such as brooms, buggy whips and woven baskets. More recently, they have concentrated on wooden boxes, cutting boards, models of sailing vessels and small pieces of furniture such as stools and small tables. Dollhouses and jewelry boxes are also fashioned from wood. For the more whimsical shopper, you can purchase a shirt or cap with the inscription "Stolen from the Maine State Prison" on it. The prisoners, until recently, also ran an upholstery business. Customers had to bring their furniture to the showroom and supply the correct number of yards of material needed. A few weeks later, a call would come saying that your order was complete and you needed to pick it up, providing your own van with which to move the pieces. There was also a printing press at the Thomaston prison that provided a less expensive way for businesses and individuals to have their personalized stationery and other paper goods printed. The Prison Showroom shop is still a fixture on Main Street in what had been the historic Pierson's Pants Factory. It is a favorite stop for tour groups and all visitors coming through the town. At this writing, most of the former prison site stands as a vacant grassed over field of almost 13 acres. In the southeast edge of the property a small angled section of the corner of the prison wall was left standing as a marker to the prison's history. 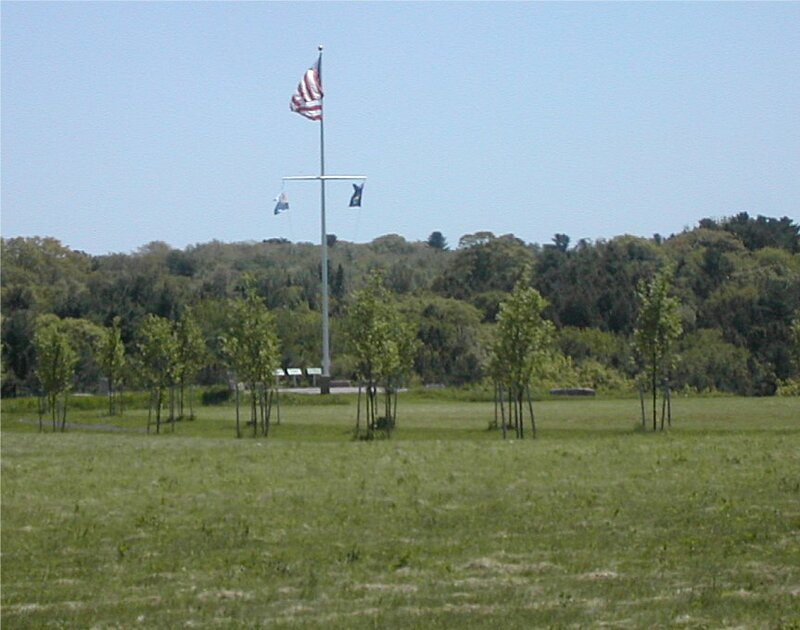 Already built is a walking trail to the water's edge on the property and a flag pole with national, state and Thomaston flags displayed. To those familiar with the prison, it seems odd now to not see it as you drive into town. The effect that the razing of it has had on Thomaston has been considerable. Thomaston, for a very long time, had been thought of as the town that sat between a prison on one end and a cement factory on the other. It kept the prices of houses in town depressed. With the prison gone, the prices of real estate in town has increased considerably. People who have the means to restore the beautiful old houses to their original state are now moving here and purchasing them. 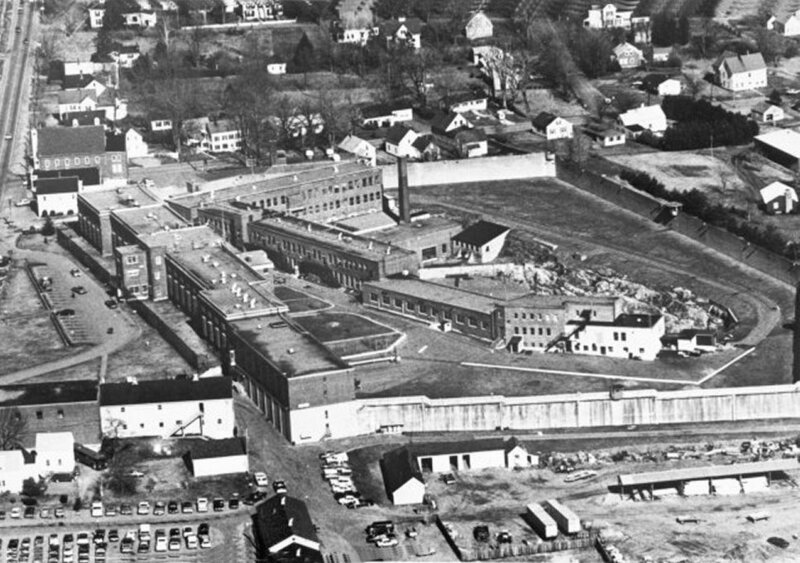 The positive effect of having been host to a prison for 178 years, and the fact that Thomaston experienced a depressed economy after sailing ships were replaced by steam vessels, is reflected in the fact that so many of our homes have remained in the same families for several generations and not changed in any substantial way. As a result, the town has a wealth of highly prized architecturally pure houses. When the prison was razed, a big part of our historic past was removed but another phase is just beginning. As history is a constantly changing landscape, we can hope that the future will be as fruitful as the past. Plans are now underway to build on the old prison land. Housing and small shops, along with a public park area, are now in the planning stages. For historic reasons, as mentioned above, a corner section of the prison wall was retained after the removal of the buildings on the site. The commemorative plaque below is mounted on that wall.